Cultr - the world's most exciting company culture tool! - Set it up! and to make desired culture come alive. Cultr is for companies who think that culture is important for belonging, engagement, execution or recruiting and who want to see their desired culture even more in action. Cultr is a tool that makes companies walk the talk and close their culture gap. In short, Cultr is a culture change tool that allows management to create and run change campaigns for their employees who are nudged to do challenges and mini-missions. These are documented with images, which in turn, impacts the social norm in the organisation. It is simply more engaging, less complicated and quicker to reach many or everyone in your organisation. Cultr is based on nudging, breaking down goals in smaller steps, on social influence, and on storytelling. It may seem simple, nonetheless the results are immediately visible. Cultr is a tool which makes your desired culture to come alive. Cultr is not a tool for measuring or analyzing your organisation. There are other great tools for that. If you don’t know what culture you have or need, you should get to grips with that first. If you however, want to see more action, more engagement and more visible results, Cultr is for you. What kind of culture change? Cultr works for all companies and organisations who seek to boost certain behaviors. It could be focused on the espoused corporate culture as described in your core values. It could be focused on breaking down silos. Or it could be to make your back office organisation more customer oriented. Basically, you can setup Cultr to work for the specific objectives you have for your organisation. Cultr is a new way of working with culture change and engagement. If you are a brave leader looking at unleashing the power of many, it is probably what you are looking for. 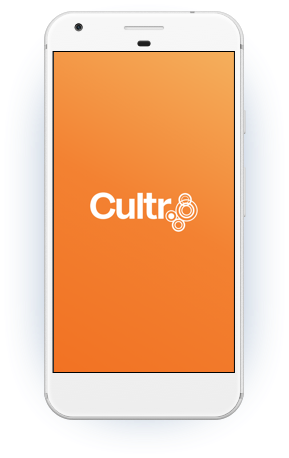 Cultr is a voluntary tool that works because it is fun, social and slightly gamified. It engages people at all levels in the organisation, makes action visible so that everyone can see the efforts to change. Cultr is a culture change tool focused on activating desired behaviours. It nudges people to do small actions and collectively creates social norms that further influences behaviours. Cultr takes just days to customize and launch for any specific objective. It can run in parts of or in the whole organisation, and can shift in intensity over time, or support multiple transformation goals.